Inter Milan vs Sassuolo predictions ahead of this Serie A clash on Saturday. Will the hosts add to a fantastic record at San Siro? Read on for our latest betting tips and full match preview. Inter Milan are hoping to close a five-point gap on second-placed Napoli in the second half of the Serie A season. They’ve managed to secure themselves in the top four in the first 19 matches of the campaign, as they sit eight points clear of rivals AC Milan in fifth. They will be out to secure another top-four finish, but we can see them pushing the Partenopei and potentially emerge as the biggest challenger to Juventus. Will Luciano Spalletti’s side make a better start to this half of the campaign than the first? Inter met Sassuolo in their first match of the season back in August, with anticipation building for their new signings. The club had added well across the transfer window, but early on things failed to click. That led to an opening weekend defeat for Inter, kicking off a slow start. Spalletti did eventually turn things around, but he has had his critics in Milan this season. 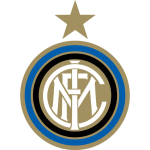 Recent form should have taken any pressure off the manager, as Inter’s Coppa Italia win at the weekend made it four victories in five for the Nerazzurri. Inter are up against Sassuolo this weekend, with the Neroverdi not out of the European race. They’re only four points off the top seven, and they have recent experience of playing in Europe. Since that success over Inter, they’ve looked like a side who are going to cause problems for the very best this season. Despite losing 2-0 at Napoli in the Coppa Italia last week, they did trouble Carlo Ancelotti’s men, with VAR ruling out a strike from the visitors. Inter will want to keep up their winning streak, although they are coming off the back of conceding two goals to Serie B side Benevento. That’s not good news as they prepare to face Sassuolo, an outfit who have scored in 84% of their Serie A games this term. Roberto De Zerbi has turned them into a really progressive side, capable of causing problems for even the top sides in Italy. While Inter have a fine defensive record, Sassuolo seem to have their number. The visitors have scored in eight of the last nine meetings between these two, including a 2-1 win here last season. Inter have racked up 10 goals across five home meetings with the Neroverdi, so we do see the hosts adding to their record of seven wins in nine at home in Serie A. However, we can see the visitors grabbing a goal here, so we’re going with both teams to score. Sassuolo have won seven Serie A matches against Inter, more than against any other side in the top-flight. 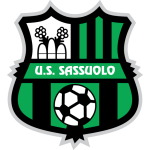 Sassuolo have only won one of their last eight Serie A matches (against Frosinone in December), drawing four and losing three. Sassuolo have lost the fewest points from leading situations in Serie A this season (2), while Inter have gained none from trailing situations so far. No side have scored more headed goals in Serie A this season than Inter (seven, alongside Cagliari). Inter have scored the most goals from crosses in Serie A this season (10). Sassuolo striker Domenico Berardi has scored four goals in his last six Serie A meetings against Inter, including the last two (both winning goals). Inter’s Matteo Politano (96 Serie A apps and 20 goals with Sassuolo), has scored two goals and delivered three assists in 19 games played so far. He had three goals and three assists in his first 17 league appearances with Sassuolo last term.